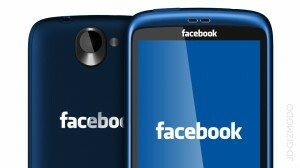 Home » Science/Tech » Facebook trying to build a smartphone? Facebook is always up to something. Now reports are coming in suggesting that Facebook might be trying to build and manufacture smartphone. What is wrong with Facebook? Like most people they believe that Social Networking is not going to help them survive in the long run? The New York Times is reporting that Facebook is making an even more stronger effort in order to launch it’s very own smartphone next year. Hell, they have even hired former Apple engineers who have worked in the iPhone and iPad to help Facebook archive the smartphone dream. The report, citing “employees and those briefed on the plans,” also says Facebook would not confirm nor deny the smartphone claims. Rumors of a Facebook smartphone are nothing new. Several outlets such as TechCrunch have reported the social network was working on a device as early as 2010. The most recent claims came from the Taiwan-based news site DigiTimes, which reported last month the social network was collaborating with manufacturer HTC on a smartphone with integrated Facebook functionality.